However stubborn as we are we went on and fought our way up the hillslope. You can guess… Yep, bushwhacking again! While the view over Duke River valley became really great we also became melancholic. 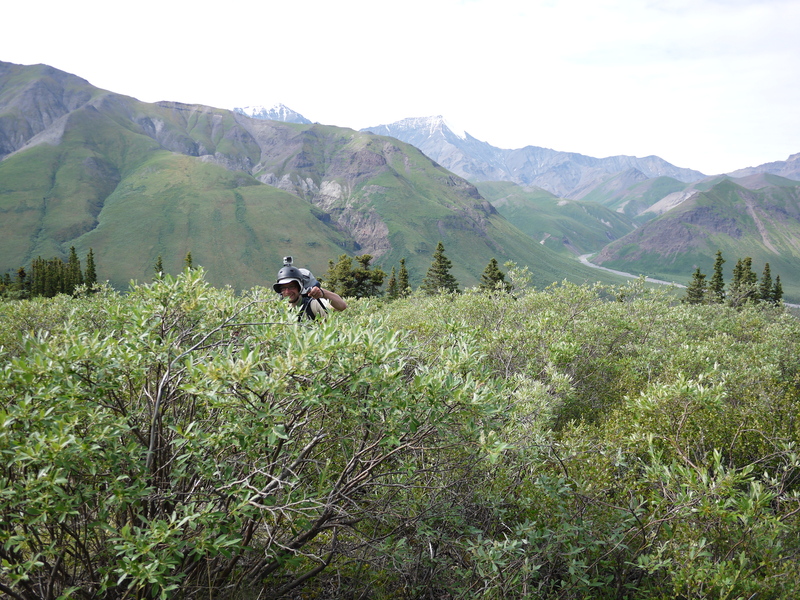 We were slowly reaching the border of Kluane territory and it felt like saying farewell to a good friend. 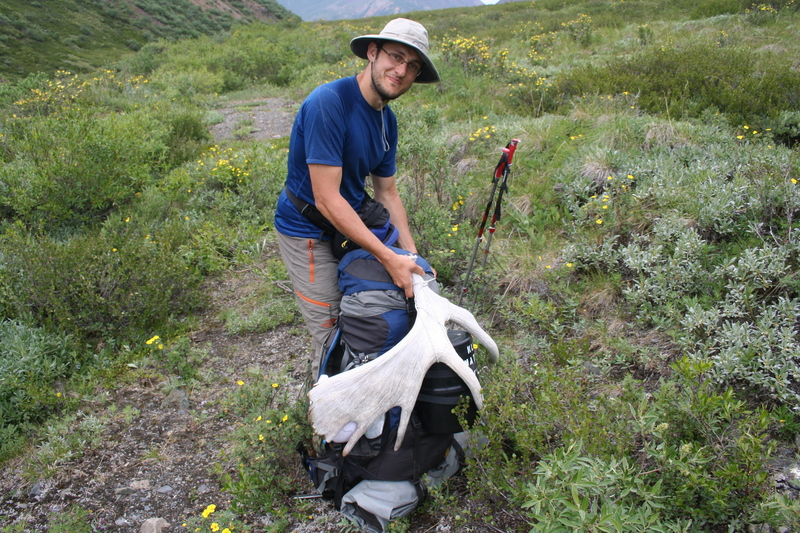 Two last highlights for remembering where given to us by finding a small lake for relaxing and swimming and later finding some deer antlers that Stilian reckoned as a treasure.